– Getting up in time to arrive in Hawick for around 9.30 am! – Staying true to myself, whatever other people were doing, i.e. to interpret the topics in my individual close-up style and try and produce a coherent collection rather than 12 unconnected images. -Conserving my energy/ having breaks so that I could manage to participate in the entire event. – Delete, delete, delete – being ruthless so that there would be only 12 images left by the end of the day. As it turned out, I shouldn’t have worried. From the moment I arrived I loved every moment. Sam, the owner of The Taxi Office Art Gallery and organiser of the Marathon was welcoming all and confirming our individual entry numbers. Each of the themes was sponsored by a shop or organisation in Hawick which meant some locals had already been warned about us! Just as well, I think I for one needed a lot of help. My number was 185. While I was asking some shoppers about long streets where I might find that house number I spotted a lady wearing the most beautiful and bouncy fascinator which would have been perfect for topic 4. Unfortunately all topics have to be covered in order. I found out that she was rushing off to a wedding and couldn’t wait for my other 3 pictures to be ‘in the box’. I discovered a pop-up shop selling t-shirts and checked whether they were also printing any. I could have gotten a 185, a model and a photo. But no such luck. A charity shop next. Anything they might sell for £ 1.85? 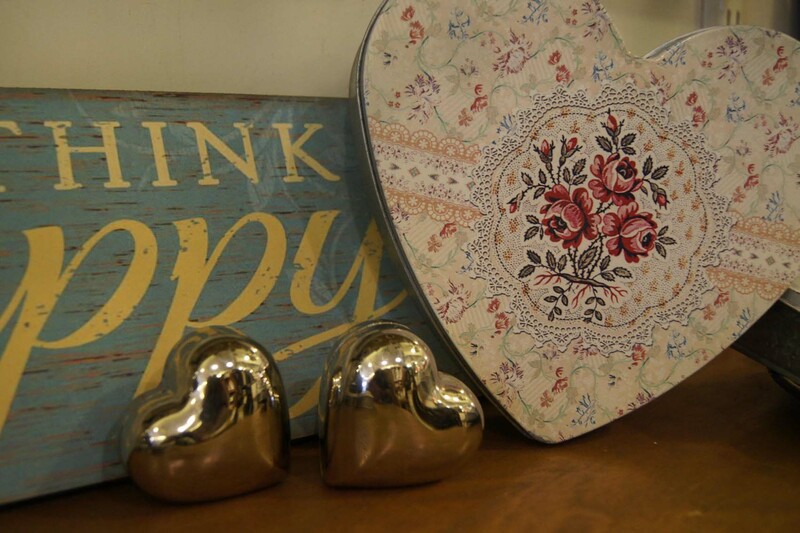 A price tag I could photograph? Not a likely amount though. 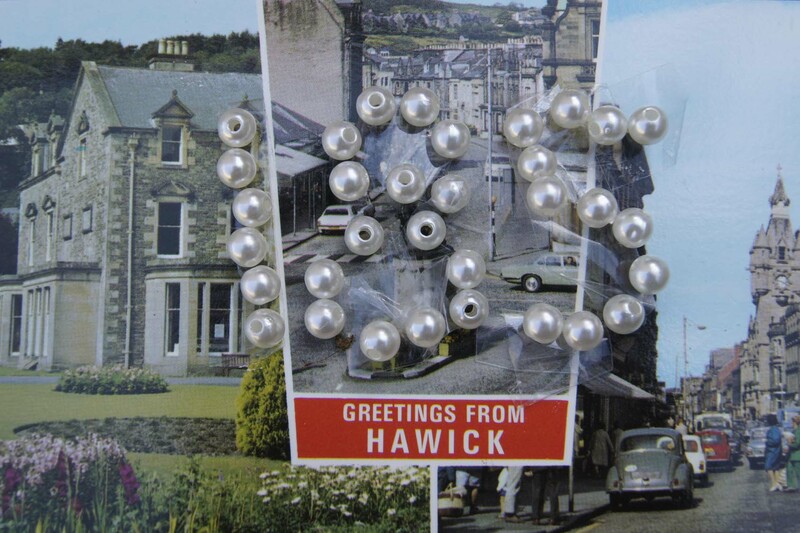 I did, however find a bead bracelet (perfect for another project I’m working on) and a Hawick postcard. Yeah. So there I was, sitting on a wall, sticking the beads on the card, creating a slightly wobbly 185. Strolling along I liked a blackboard outside one of the cafes. 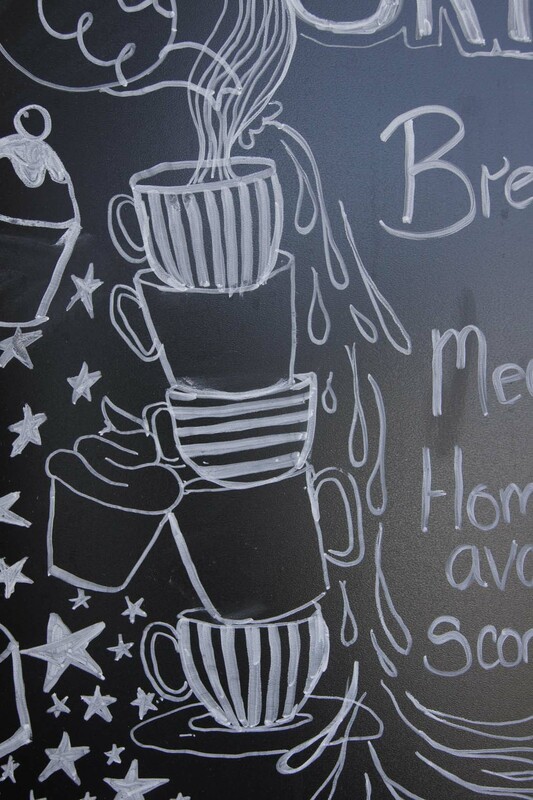 Someone had made a lot of effort not only advertising their yummy scones, cup cakes and hot drinks but also drawing a stack of inviting cups. This deserved a photo, I thought. What to do? Cameras? Phones? Radios? TVs? More charity shop rummaging unearthed some records and CDs. 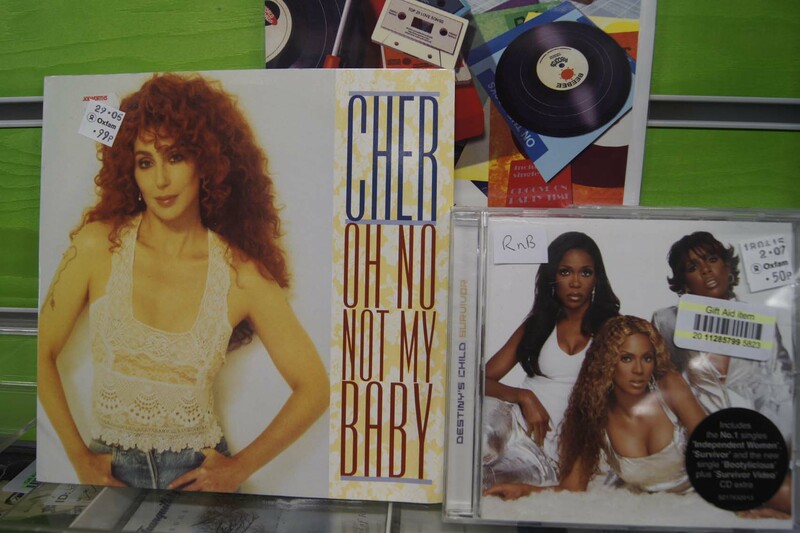 I selected Cher’s single ‘Oh no, not my baby’ and Destiny’s Child album ‘Survivor’. This is where I would have loved to meet the lady with the fascinator again, but it wasn’t meant to be. Instead I went to one of the card shops in town where I had seen staff wearing superman outfits and animal onesies. They had, however, already been photographed 4 times before I turned up, a non-starter. I started to check out babies, toddlers and dogs and spotted a wee girl with the cutest flowery ballerinas and frilly socks. Her mum was happy for me to take pictures but my charm clearly did not manage to convince the wee one. 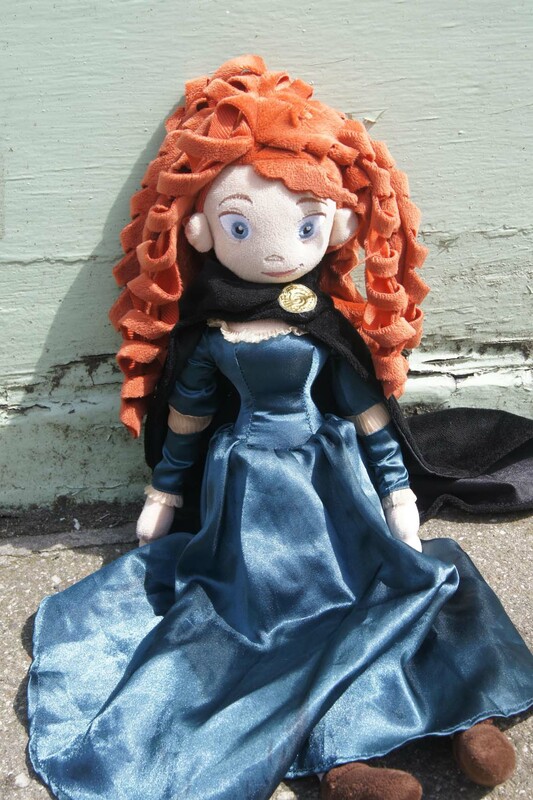 Finally we (the mum and I) agreed I would take a photo of Merida the doll which was reluctantly given up for the shoot. If looks could kill, this would have been the end of my contribution to the Marathon! With plenty of time to kill until 2 pm when we would all be given the next 4 topics I strolled around town and went for coffee and cake. A visit to a gift shop proofed highly successful. The staff was lovely and let me re-arrange the shelves for my photo. If I ever needed a present, this would be the place I’d go back to. 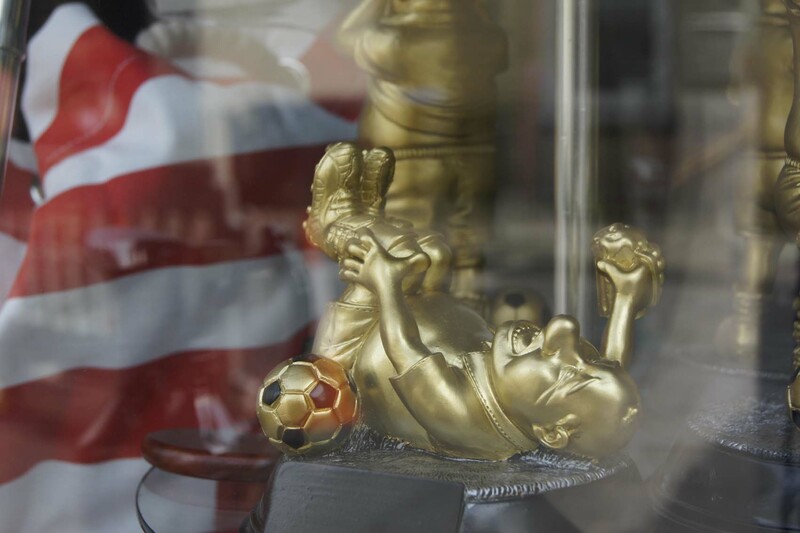 I saw a few things in High Street shop windows that I found interesting but finally discovered some cartoon-like football ornaments on a rotating display. Unfortunately the shop was closed, which meant I had to wait for the one I wanted to photograph to zoom past me a few times before I had the result I wanted. 7. How Does Your Garden Grow? Decisions, decisions, so many possibilities and right up my street: close-up nature photography! 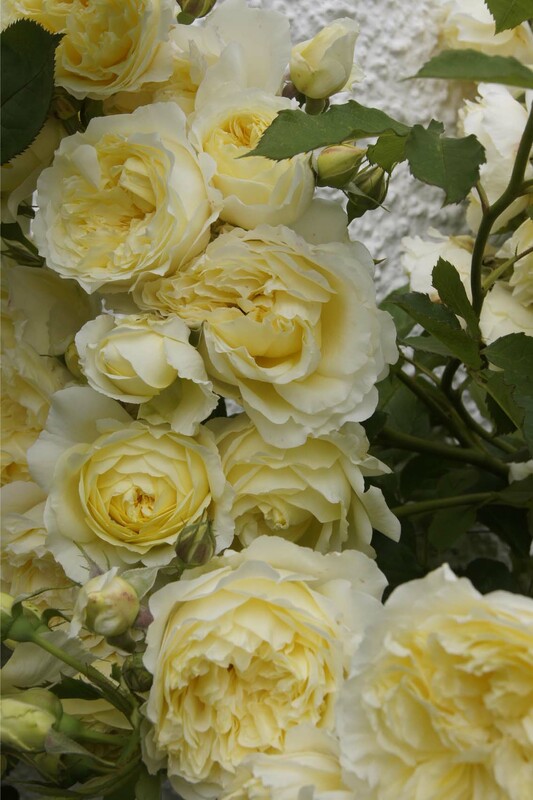 I finally went for an abundance of yellow roses outside a back street cottage. First thought: chilli peppers. 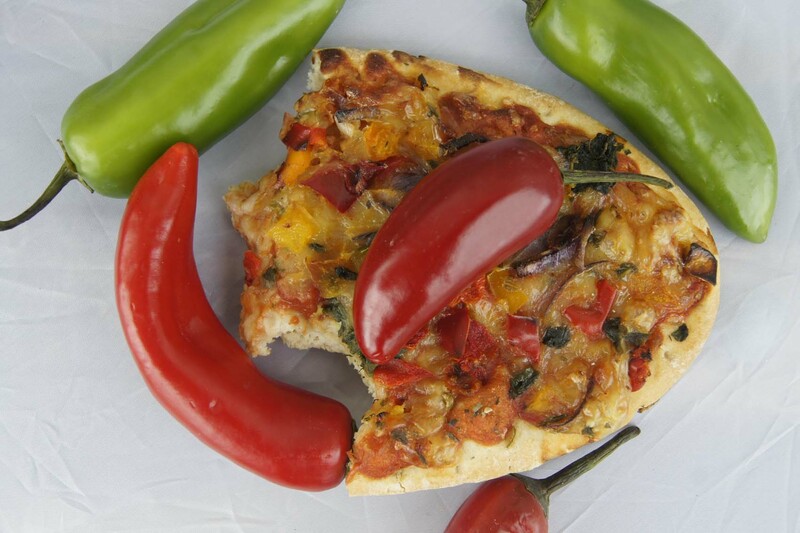 I finally found a bag full at one of the big supermarkets where I also got a freshly baked take-away pizza. I felt quite hungry by then and couldn’t resist a few bites before setting up my still life in a bus shelter. More time to spare and a visit to a bookshop/ café for a rest before the last leg of the marathon. It was 6 pm by then and way too light to take a long exposure photo of car lights, the first thing that came to mind, a bit of a cliché. Setting up in a dark toilet with my phone flashing in front of the camera didn’t seem such a good idea either. 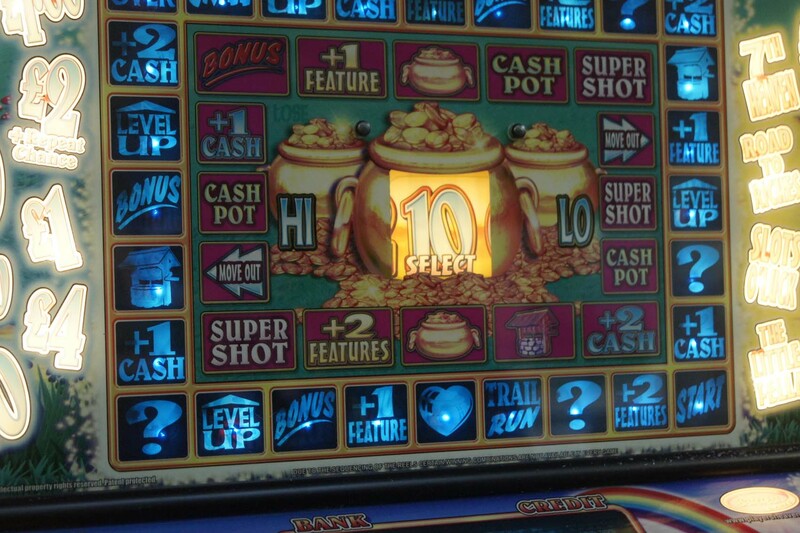 I ended up in a pub, taking photos of the slot machine’s blinking lights while a number of older, slightly drunk gentlemen kept winking at me and tried to have a chat with me – while I just smiled sweetly and got on with ‘the job’! Not my most enjoyable experience, but I had my image. 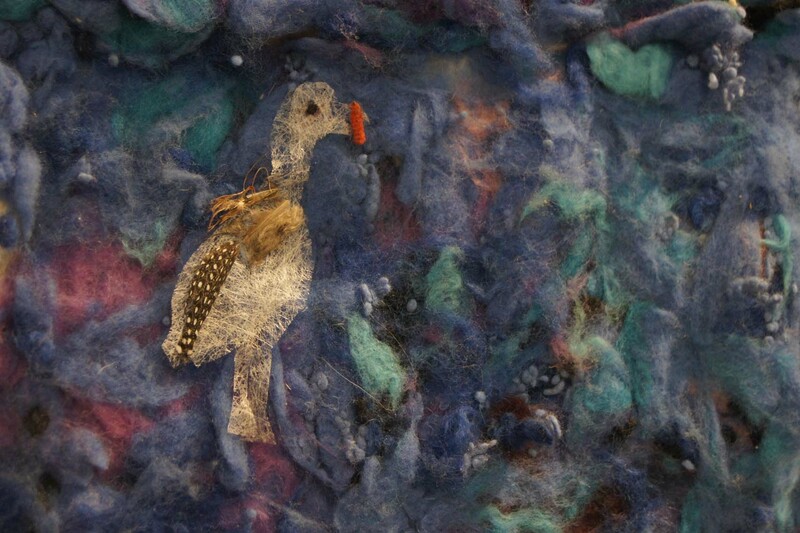 Earlier in the day I had visited the Textile Tower House admiring the spun, dyed and woven wool which would have been perfect for this subject but the venue was closed when I arrived. I went across the road toTower Mill where I took a close-up of one of the wall hangings done by local school children. As I had initially decided to stick with close-up images, this was a bit of a challenge. I liked the idea of photographing a window display of ceramic houses coupled with the reflection of the real houses on the opposite side of the street. Technically I didn’t think I could pull it off though, the display was arranged very high up and with drizzling rain and fading day light it would have been difficult to achieve the effect I envisaged. 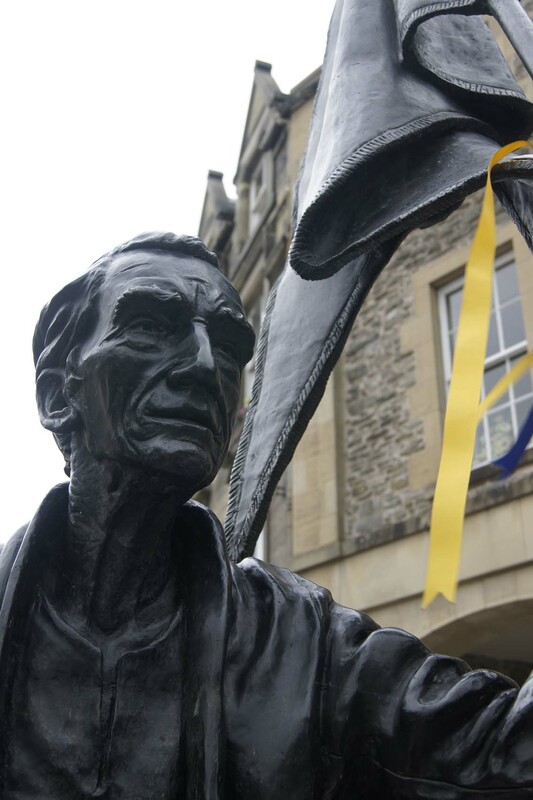 I went back to the statue in the High Street and tried out various views, finally deciding on the young boy’s view of the man’s face. One or two of the older gentlemen from my earlier pub visit would have been suitable subject for this theme, but I was reluctantly rejecting this idea! 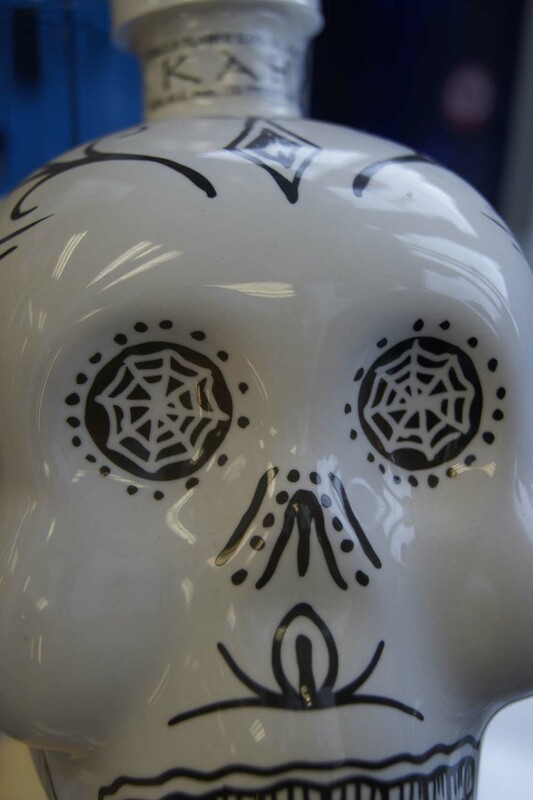 Fortunately I found a skull shaped bottle of tequila in one of the off-licences. A very helpful shop assistant stopped the rotating display and I got my last image. I took my memory card to the Gallery for downloading and now can only wait to hear when the entries will be exhibited and whether I managed to win a prize. Winning isn’t so important though, it was fun taking part and a real community spirit developed amongst many of the participants. 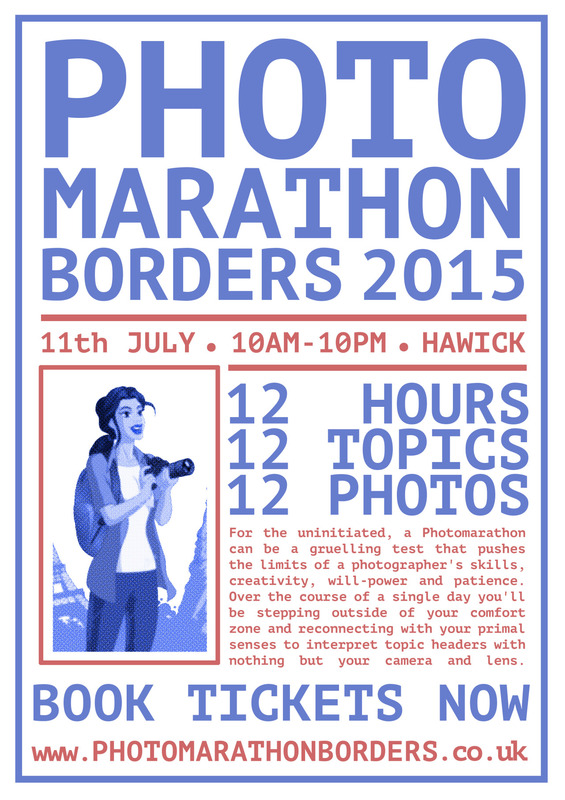 It will be great to meet up and visit Hawick again. I included my pictures in this post unedited even though I was tempted to add a bit of contrast to most. Overall I was happy with my results but, if I did it again, would possibly change one or two images and try to take all 12 in landscape format. Yes, definitely was one of the best things I’ve done recently. Great organisation by the owner of the gallery too. I know Sam well and he’s passionate about everything he does. I’m glad the event was as successful as it was.